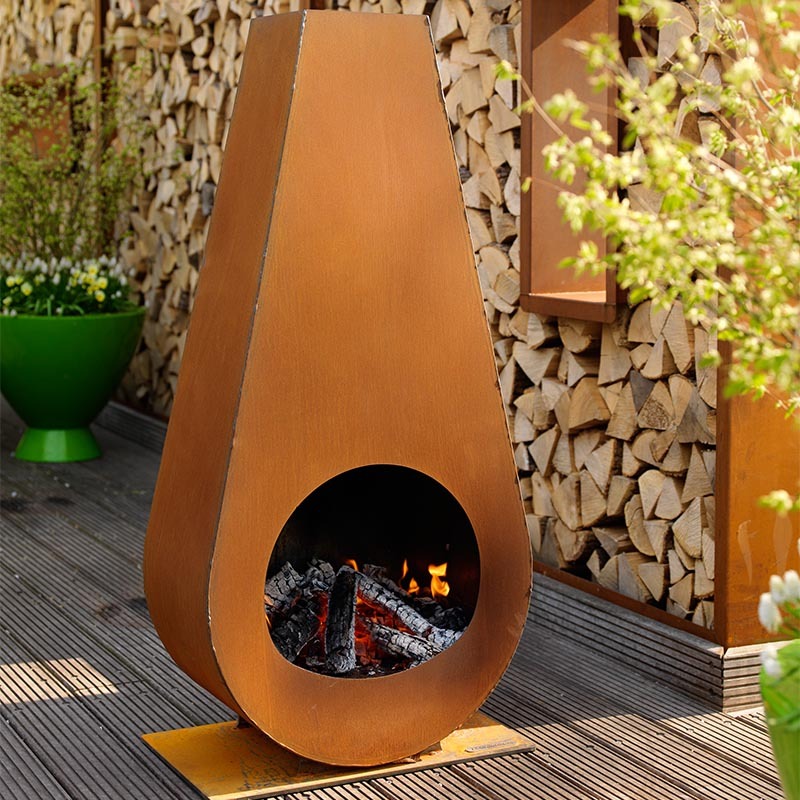 The Zeno Goccia Outdoor Fireplace is a simply stunning piece of functional art for your garden. Designed in contemporary style and combined with bold materials to add a subtle hint of style to your garden or outside space, while also keeping your outside area warm and toasty during those clear crisp evenings. The Zeno Goccia Outdoor Fireplaceis ideal for a patio or decking area and will be enjoyed for years to come. Cor-Ten steel untreated is brown-orange colour. Rust layer forms after a period of time. Includes Ashtray and have safety laminated back.